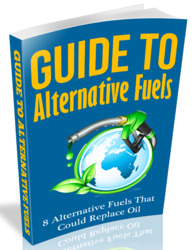 Understanding the drivers and feedbacks of the climate system is important for a proper understanding of the world. Modeling the conditions required to drive the globe into an ice age is a great way to better understand the climate system. There are three major periods of glacial inception: the beginning of the current glacial cycle, about 115,000 years ago; the beginning of the current ice age, about 34 million years ago; and the Cryogenian period, when the Earth was believed to be nearly covered in ice. 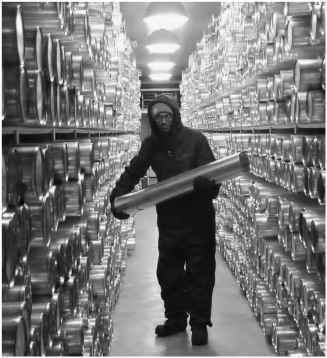 The U.S. Geological Survey National Ice Core Lab in Denver, Colorado, stores and studies ice cores from all over the world. The Milankovitch theory dictates that glacial conditions could be instigated when the Earth's orbit is more elliptical and the Earth is furthest from the sun in the Northern Hemisphere summer. These orbital conditions were in place 115,000 years ago, at the beginning of the glaciation that culminated in the LGM. 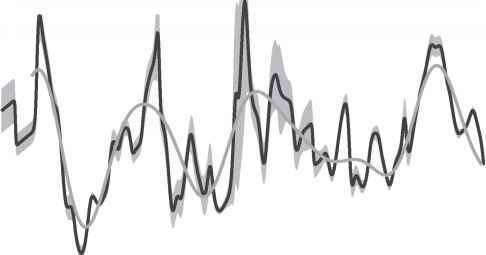 Early modeling studies with simplified GCMs could not capture the appropriate initiation of glacier growth, however, there was more success with recent models that have more accurate representation of mountains. This suggests that it is on high peaks where snow will first persist year-round; then, as feedbacks come into play, the area of glaciation will expand. Experiments using differing levels of atmospheric carbon dioxide revealed that there were thresholds of carbon dioxide, below which shifts in orbital parameters became much more important. It is believed that the growth of the Antarctic Ice Sheet about 34 million years ago, at the Eocene/Oli-gocene boundary, was instigated when the Drake Passage (the strait between Antarctica and South America) opened as South America moved north away from Antarctica. Modeling studies show that when the Drake Passage is closed, the southward ocean heat transport is increased by 15-20 percent over all southern latitudes. When the Drake Passage opened, it allowed the circumpolar current to develop, effectively thermally isolating the Antarctic continent. Thus, warm tropical waters could not make their way to the shores of Antarctica any more. Further modeling studies, using a dynamic ice-sheet model asynchronously coupled to a simplified GCM, indicate that carbon dioxide needed to fall below critical levels before ice-sheets would form, even if the Drake Passage was closed. Once ice growth began, feedbacks then aided ice-sheet growth and ice eventually covered most of the continent, as it does today. Geological evidence of the continental configuration during the Cryogenian period suggests that the continents were centered on the equator, and ice covered much of the globe. Conceptual models of how this ice age came about suggest that the strong tropical rainfall weathered these continents, drawing carbon dioxide out of the atmosphere and reducing the greenhouse effect. Continents on the equator would also limit the oceanic transfer of solar input in the tropics to the poles, allowing the poles to cool. These conditions, combined with a weaker sun, are sug gested as adequate climate drivers to lead to an Earth that was almost completely ice-covered. sEE ALsO: Climate Forcing; Ice Ages; Milankovitch Cycles; Modeling of Paleoclimates; Quaternary Era. bibliography. J.R.L. Allen, et al., Palaeoclimates and their Modelling: With Special Reference to the Mesozoic Era (Chapman and Hall for the Royal Society, 1994); R.S. Bradley, Paleoclimaology: Reconstructing Climates of the Quaternary (Academic Press, 1999); CLIMAP, Seasonal Reconstructions of the Earth's Surface at the Last Glacial Maximum, 1981; Climate of the Past, "Modelling Late Quaternary Climate," www.clim-past.net (cited November 2007); R.M. DeConto and D. Pollard, "Rapid Cenozoic Glaciation of Antarctica Induced by Declining Atmospheric CO2," Nature (v. 421, 2003); S. Harrison, et al., Fourth International Workshop of the Palaeoclimate Modelling Inter-comparison Project (PMIP, 2002); P. Hope, The Weather and Climate of the Last Glacial Maximum, thesis (University of Melbourne, 2005); B.T. Huber, K.G. MacLeod, and S.L. Wing, Warm Climates in Earth History (Cambridge University Press, 2000); S. Joussaume and K.E. Taylor, The Paleoclimate Modeling Intercomparison Project (Proceedings of the Third PMIP Workshop, 1999); W.R. Peltier, "Global Glacial Isostasy and the Surface of the Ice-Age Earth: the ICE-5G (VM2) Model and GRACE," Annual Review of Earth and Planetary Sciences (v.32, 2004); A.P. Sturman and N.J. Tapper, The Weather and Climate of Australia and New Zealand (Oxford University Press, 2005).